The TransResearch Consortium is an innovative initiative designed to help businesses and government officials manage the impending shifts in global influence caused by changing demographics and tectonic plate shifts in power. The power relationship among the US, China, India and the EU will shape the foreseeable future. The Consortium will assist businesses and government entities anticipate roadblocks to cooperation among these countries while also identifying opportunities for investment, trade, and reciprocal relationships. Founded by Claremont Graduate University, Portland State University and La Sierra University, TRC is designed as an incubator for emerging new ideas, research, and policy to positively shape the dynamic relationships among these economic, political, military and social giants. The history of the 21st Century will be written at the intersection of the national interests of the leading and emerging powers. While the United States is the preeminent global power today, by mid-Century the emergence of China and India will rearrange the global landscape. As with tectonic plate shifts, there will be early warning signs, tremors, which forecast the more massive shifts of the future. Although this phenomenon has been recognized, belatedly, in Washington, D.C., New Delhi, and Beijing, there has been a noticeable absence of any strategic planning to deal with problems that will arise concurrently with such large shifts in power. Since the issues of mid Century will be created or constrained by the policies of today, the world cannot afford to wait for the normal unfolding of events. A report from the U.S. National Intelligence Council (NIC) likens the rapid rise of China and India in the global scene as being much like the “advent of a united Germany in the 19th century and a powerful United States in the early 20th century.” The NIC predicts this rise will usher in a new era in which the two “will transform the geopolitical landscape, with impacts potentially as dramatic as those in the previous two centuries.” As basis for this judgment, the NIC cites high economic growth, expanding military capabilities, and large populations as fundamental indicators contributing to the rise in “economic and political power” of these Asian giants. We predicted this outcome in a book published in 2000, Power Transitions in the 21st Century. Since then, China has overtaken the US in terms of GDP, and India’s economy will become the third largest in the world in 30 years. This economic transformation will create a “mixture of awe, opportunism, and trepidation.” When one considers that the combined populations of India and China make up nearly one-third of the global population, and that their respective economies have experienced average growth rates of 9.5% and 6% over the past twenty years, it is easy to grasp the tidal wave of change that is being generated in Asia. Already China is a global leader in mass manufacturing and annually attracts the lion’s share of global foreign direct investment. India, on the other hand, leads the world in design, software, services, and precision industry, while lagging for now in attracting foreign direct investment. World leaders are just now appreciating these global trends. But since these trends culminate in a distant future, leaders continue to focus on the immediate and more demanding. The risk of inattention and the lack of policies implemented today for impact tomorrow represents a staggering failure of vision. Sustainable policies that integrate the interests of the US, China, India and the EU must be put into place soon or the global community will face the consequences of giants at odds with each other rather than sharing the mantle of leadership under an umbrella of common preferences. To assist business and government officials make strategically efficient long term decisions under conditions of dramatic change. Business applications flow from the research agenda of the Consortium. The Consortium brings together the intellectual assets that reside within key universities in the United States, India, China, and the EU. In turn, these institutions reach out to their governments and policy makers with policy options and advice that meets the mission of the Consortium. While fleeting attempts have been made in the US to look at the emerging nation phenomena, few have engaged Universities and intellectual leaders in those target countries. Within the United States, there are many universities with Chinese programs, only a few with programs dealing with India, and virtually none that link the three and attempt to integrate both academic research and policy relevant papers into a coherent analysis dealing with what will happen when all three countries and the EU are more equal in power and influence than today. Three academic entities in the United States, each with distinct capabilities, have developed this concept: the Mark O. Hatfield School of Government at Portland State University, which specializes in policy issues and publications; the School of Politics and Economics at Claremont Graduate University, which specializes in advanced quantitative and theoretical work on the US-China-India issue; and the Business School at La Sierra University in California with its in-depth expertise of the business communities in all three countries. All Consortium partners conduct fund-raising activities for the Consortium. The purpose of these activities flows from the recognition that the Consortium must not conduct sterile research but, instead, be engaged in policy making settings to achieve its agenda. The Consortium holds an international conference annually in Carmel, California. Interested parties are welcome to inquire for more details. We know so much about the role of governments and yet we have so few tools for analyzing their effectiveness, their performance in the near term and over time. No issue could be more important in the policy world. Understanding the linkages between government performance and violence, stability, economic growth, and demographic changes, would not only help rationalize policy choices but assist governments and nongovernmental organizations in the search for the magic formula bridging development and stability. We define political performance as the ability of governments to reach their population, to extract economic resources from that population and to allocate those resources to secure the long term survival of the political structure. The key to our approach is efficient extraction from a mobilized population and effective implementation of public allocations. Governments that advocate policies that fail to meet goals will not meet the expectations generated. Failing governments may succeed in the short term through coercion, but will be challenged or replaced in the long run. Governments that perform effectively will be sustained over time. We have measured the political performance of over 100 nations, in the process creating a new way to calculate the efficiency, the effectiveness of nations. We call this The Performance of Nations as explained in the book of the same name. All types of governments extract revenues and mobilize their populations to support their goals. Thus they can be compared to each other. 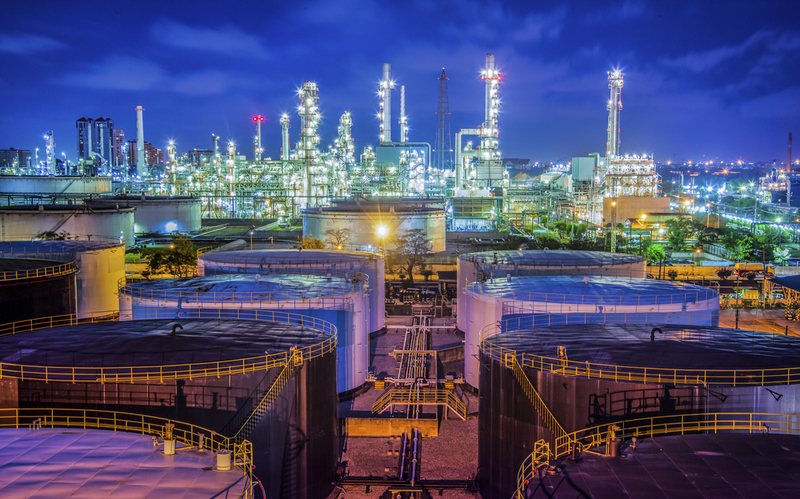 They also take some portion of the extracted resources and reallocate them for transportation, environment, infrastructure, national defense, police, and welfare programs, among other priorities. Following this path of inputs and outputs, we can evaluate the performance of governments – those that squander public resources are ineffective and will in the long run be replaced; those that utilize public revenues to advance national growth are retained and rewarded by internal stability. What is the economic cost of politics? TRC's first book measures government performance in business, politics, and economics. 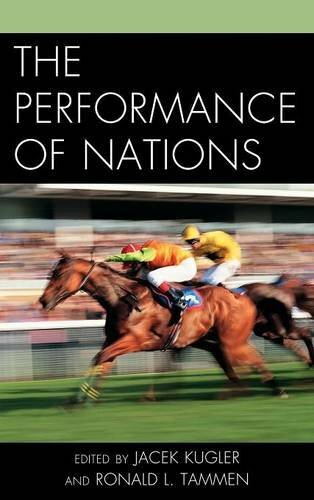 "The Performance of Nations," provides new and innovative insights into governmental political performance that can help key decision makers determine the economic, business and political growth potential of a nation, state, province, or municipality while shedding a broader light on reasons for past governmental failures. The authors of "Performance of Nations" have devised tools that empirically test government productivity at the national, sub-national and local levels. These tests, termed relative political extraction, reach, and allocation, represent a political science counterpart to the long-valued, numbers-based GDP measure economists use to determine a nation's growth or decline. "We're answering two fundamental questions," said Mark Abdollahian, clinical professor at the School of Politics and Economics in Claremont Graduate University, "What is the cost of politics, and what is the political cost of economic growth." What is the current threat to world peace? What will the post Cold War-system look like in the 21st century? Who will follow the United States as the next world power? Power Transitions answers these provocative questions revolutionizing academic analysis and merging it with hands on policy. 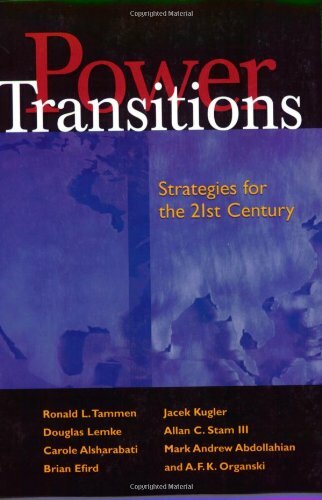 By succinctly integrating power transition theory and national policy, this outstanding team of scholars explores emerging issues in world politics in the 21st century, including proliferation and deterrence, the international political economy, regional hierarchies, and the role of alliances. Blending quantitative and traditional analyses, theory and practice, history and informed predictions, "Power Transitions" draws a map of the new world that will stimulate, provoke, and offer solutions. Authors include: Mark Abdollohian, Carole Alsharabati, Brian Efird, Jacek Kugler, Douglas Lemke, Allan C. Stam III, Ronald L. Tammen, and A.F.K Organski. This book is about the future of the European Union inthe light of global power transition taking place in the 21stCentury and against the backdrop of the multiple challenges the project is facing. It demonstrates how the future of the European Union rests on a delicate balance between policy challenge, member states’ interests, and convergence or divergence of societal values across its peoples and shows how global power transition is affecting the EU’s position as a global actor. It examines factors behind the decline of the EU relative to the rise of China and India in the global hierarchy and what policy options are available for EU leaders to implement in order to compete with China, India, and the United State. It analyses key policy challenges EU faces in its quest for "ever deeper union" and identifies significant factors (i.e., power relations, economic relations, emergent social values across the EU) that can explain likelihood of further integration or conflict between EU member states. This text will be essential reading to scholars, students and practitioners interested in European Union politics and IR Theory and more broadly to International Relations, Security studies and Comparative politics. The possibility of Turkey’s accession to the European Union has been problematic. Initially, the EU’s pursuit of regional economic integration and enlargement of membership, at the exclusion of Turkey, strained relations between the two. It was not until 1999, and under pressure from the US, that Turkey was considered as a potential candidate for membership. 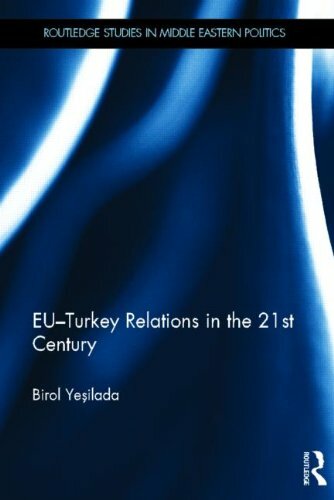 This book seeks to provide a comprehensive assessment of the fluctuating relations between the EU and Turkey in the twenty-first century. Applying complementary theoretical models to evaluate prospects for Turkey’s membership, analysis includes; Turkey’s report card on the Copenhagen criteria, public opinion in Europe and Turkey, and benefits and challenges based on projection estimates. The results show that whilst both sides stand to make significant gains from Turkey’s membership, the current state of affairs point in the direction of a failure. Examining complex issues surrounding EU-Turkey relations and addressing the critical question of what will happen if Turkey is rejected by the EU, this book will be of interest to students and scholars of politics, Turkey and the wider Middle East. 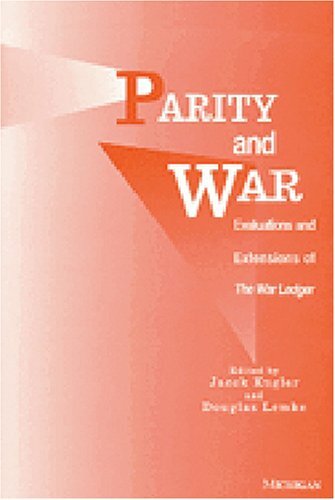 Parity and War is an impressive explanation of why peace predominates in the international arena and why, on occasion, wars do start. Useful for college students and scholars alike, the work scrutinzes and tests ideas about power preponderance, first discussed over a decade ago in the widely acclaimed book The War Ledger. An alternative to traditional realism, power preponderence contends that peace is preserved when a preponderant nation supports the status quo. The theory convincingly accounts for war initiation, recovery, and peace by analyzing military arms buildups, alliances, territorial threats, economic cycles, and nuclear environment deterrence and proliferation. The contributors to this volume examine and analyze cases as diverse as the peaceful collapse of the Soviet Union, the presence of interstate war in South America in the last century and the absence thereof--despite domestic war--in this century, the economic and political consequences of the American Civil War, and the observation of long-term patterns of conflict and peace in international relations. 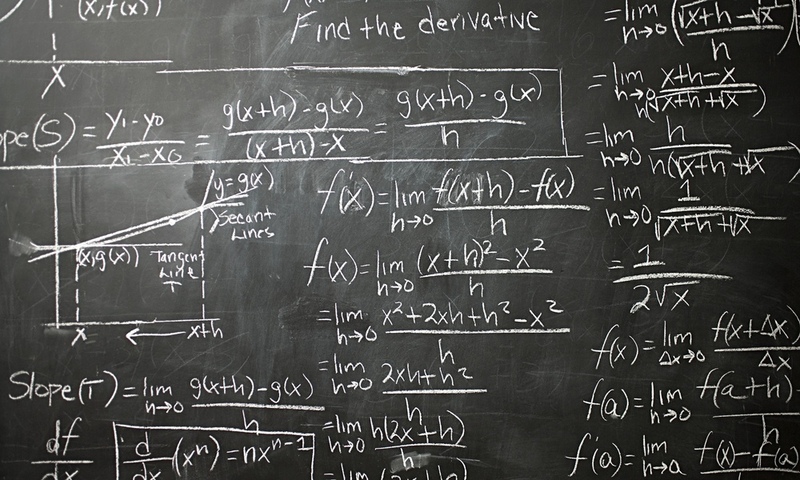 Moreover, contributors to Parity and War utilize game theory, expected utility, and differential calculus techniques to model major war and to formalize the originally intuitive propositions of power preponderance. Their timely research shows that, in this era of nuclear weapons dominated by a single super power, effective regime guidance by the United States can insure peace for the next century. It has long been suspected that birth rates and death rates are tied in some way to political change, but until now reliable evidence of such a relationship has eluded researchers. 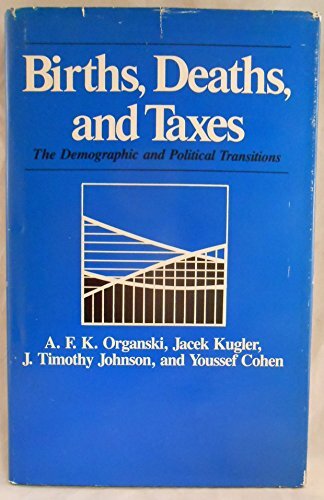 After their own extensive research, the authors of Births, Deaths, and Taxes present the first empirical evidence indicating that state growth and the centralization of political power have a direct effect on a country's mortality and fertility rates: as the capacity of government grows, a nation's vital rates will decline. Because mortality rates decline first, state growth in recent decades precipitated a population explosion. Continued state growth, along with social and economic development, is now causing a drop in fertility as well. To establish this relationship between political development and vital rates, the authors constructed an innovative index to measure political development and capacity. They argue that the growth of government power can be reasonably and accurately gauged by measuring increases in taxation. 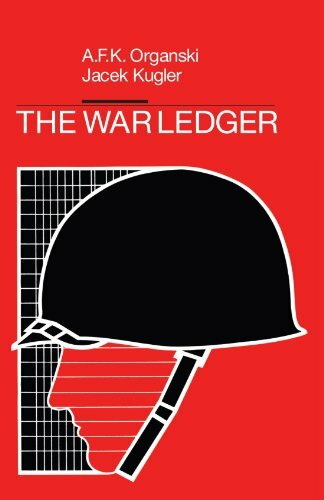 The War Ledger provides fresh, sophisticated answers to fundamental questions about major modern wars: Why do major wars begin? What accounts for victory or defeat in war? How do victory and defeat influence the recovery of the combatants? Are the rules governing conflict behavior between nations the same since the advent of the nuclear era? In this book, Yi Feng combines political and economic analyses to study the effects of political institutions on economic performance. Traditionally, political scientists disregard details of economic conditions, while economists may not take into consideration a systematic explanation of political regimes. 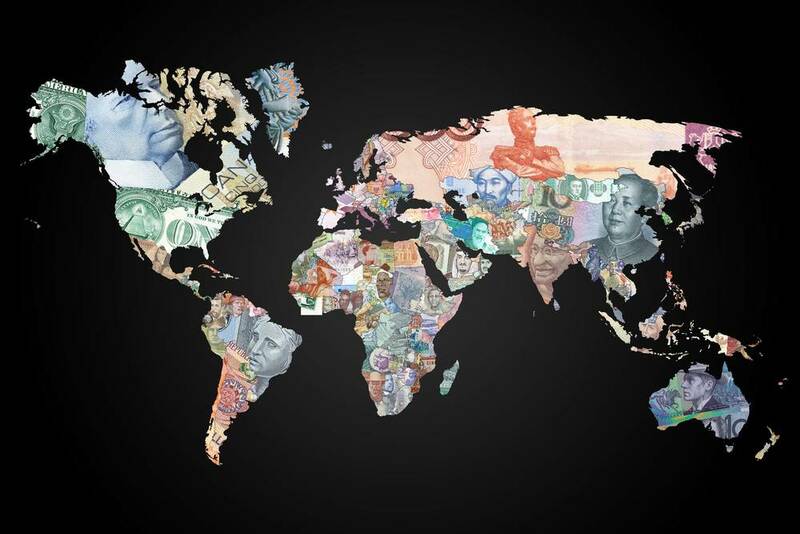 The growing interest in the interplay of political and economic systems, spurred by the political democratization and economic liberalization evident in many countries over the last twenty years, merits this new perspective. The book examines the political determinants of economic growth, and, specifically, the controversial question of the relationship between democracy and quality of life. Feng systematically studies three variables of a political system -- political freedom, political stability, and policy certainty – and relates them to economic development. He examines the political factors that may affect patterns of growth directly or indirectly.Combining theory and country-specific case studies, Democracy, Governance, and Economic Performance demonstrates that political institutions and conditions do matter in economic growth. 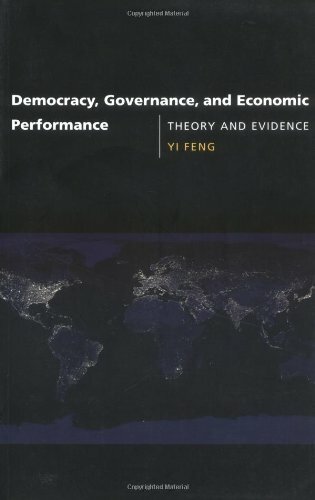 After establishing a theoretical foundation, Feng tests it by examining the direct effects of the three key political variables on economic growth and the indirect effects of democracy in terms of other variables (political instability, inflation, investment, education, income distribution, property rights, and population growth). He concludes by considering the policy implications of these results. Relative Political Capacity (RPC) represents a sign along the road to developing a social science indicator similar to the ubiquitous applications of GDP and GDP per capita in economics. Political science has long valued the universality of these concepts and the powerful applications they allow for measuring and comparative purposes. 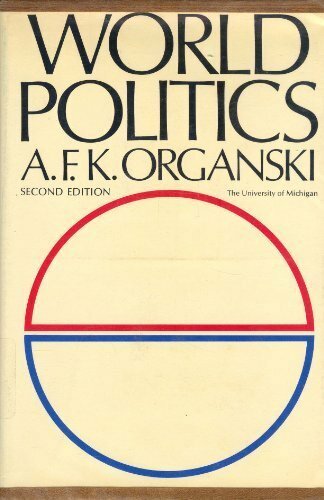 It was the chase after the elixir of a political science counterpart that led to this volume. Despite its universal appeal, as a concept GDP remains limited in some ways. It does not include the non-monetized economy, the black market, the subsistence economy, or volunteer work, and it fails to address why the public sector is approximated by inputs not outputs. Yet, GDP remains the gold standard for cross national economic comparisons. And GDP per capita is the measure of choice for assessing the average productivity of individuals across and within nations. RPC takes up the challenge for presenting a GDP-like indicator that would allow scholars and policy makers to compare governmental functions across time, space and across types of governments. Various attempts have been made to develop proxies for government performance but none of them have allowed scholars to measure the effectiveness and efficiency of governments, the performance of governments, vertically and horizontally – from the international to local levels. In order to find our GDP-like political indicator, members of the TRC developed, tested and integrated three distinct measures of political performance. They are Extraction, Reach, and Allocation. Extraction approximates the ability of governments to appropriate portions of the national output to advance public goals. Reach gauges the capacity of governments to mobilize populations under their control. Allocation evaluates the share of public revenues provided to competing national priorities contrasted to the optimal allocation based on maximizing economic growth. Each of these measures is tested empirically to determine if significant and substantive results followed from their applications. These tests establish the universality of the political performance concept. In the attached files, you can find the aforementioned measures of political performance as well as the components used to calculate them. The codebook, which includes detailed information on calculation procedures and data sources, is also provided. For any questions or concerns about the dataset, please contact Ali Fisunoglu (ali.fisunoglu@ozyegin.edu.tr).